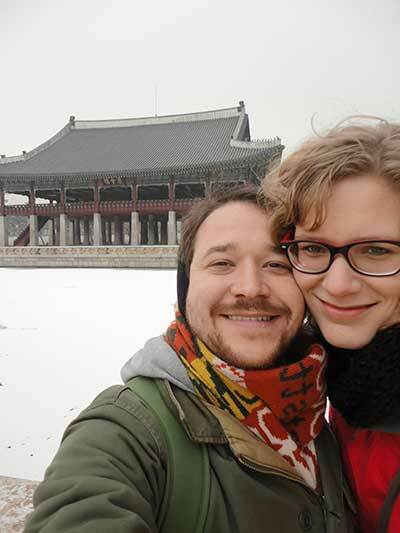 Yvonne and I have had the pleasure of traveling throughout China for the past 4.5 years. 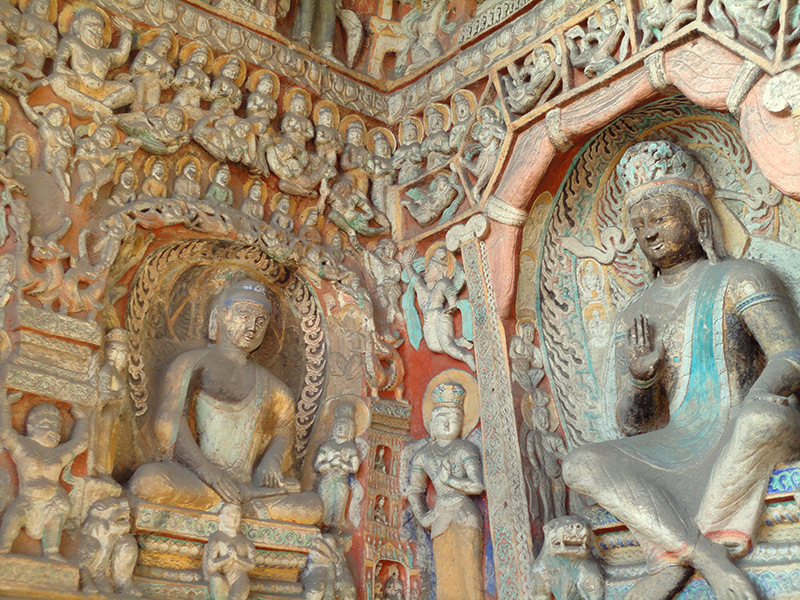 We have traveled all over China from the Great Wall to the Bashang Grasslands and many other places, but one of the best places we visited was the Yungang Grottoes in Datong, China. The Yungang Grottoes are mind bending. 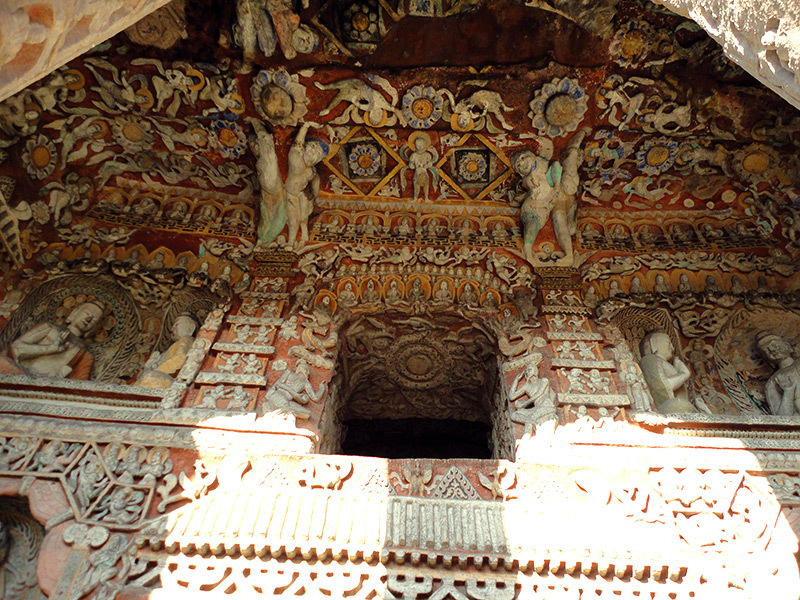 There are over 51,000 carvings in the caves. It it really hard to imagine, which is why we wanted to see it for ourselves. 51,000 Buddha statures is crazy! How dedicated do you have to be to carve that many pictures? I don’t think I have done anything, on purpose 51,000 times, but these monks over the course of a few centuries carved 51,000 Buddhas. As you can tell, it still blows my mind just thinking about it. 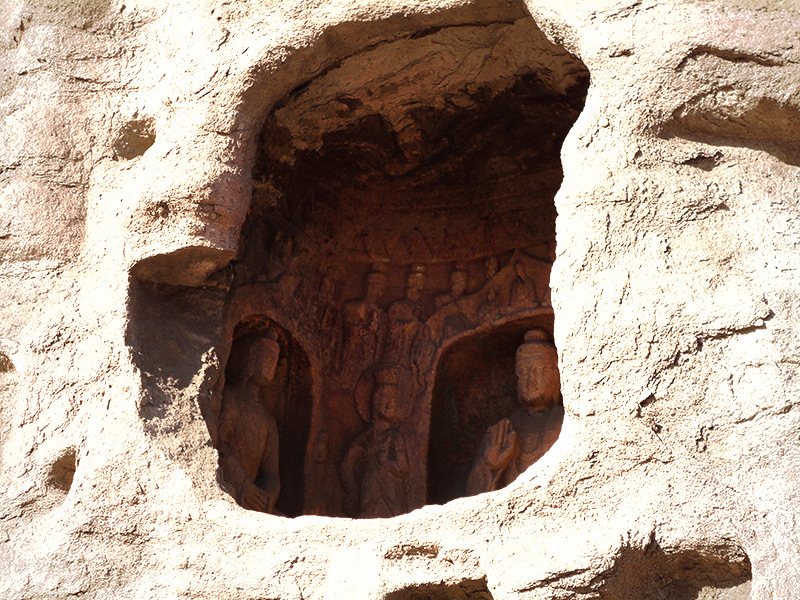 The Yungang Grottoes are located outside of a small town called Datong. 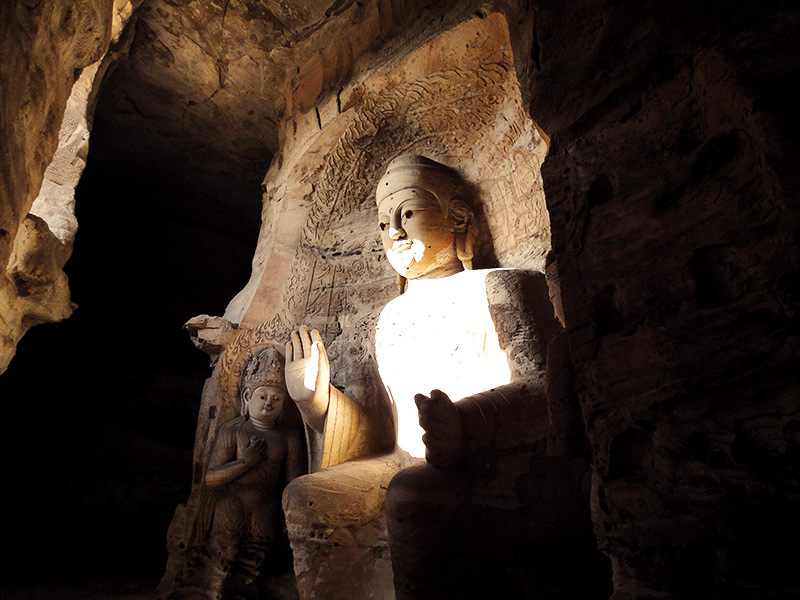 Datong is located in the north of China about 3.5 hours West from Beijing. Yvonne and I went there during the winter time and the temperatures were -10 to 5 Celsius (not sure what we were thinking). 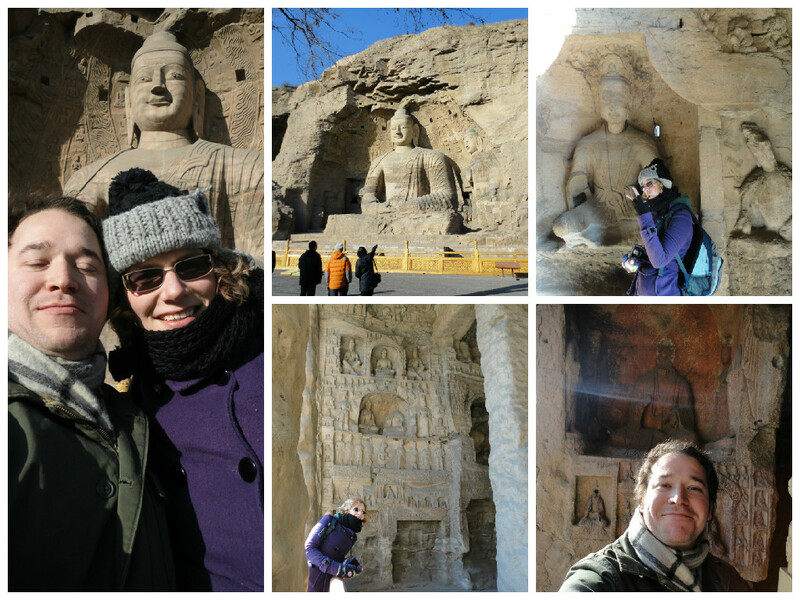 We wanted to see the Yungang Grottoes because we heard about them from other travelers and thought it would be worth seeing. We were not disappointed. The best way to explore the grottoes is to take a taxi, which should cost about 50 RMB. When you arrive you will need to pay and entrance fee, which is 120 RMB (if you are a student it will be cheaper). The grottoes are fairly large, but shouldn’t take more than 1-2 hours to explore. When we went it was early in the morning and there was hardly anybody present. This site is not a high traffic tourist site, which allows for better pictures and a slower pace. We packed a small lunch and enjoyed sitting in winter sun, while eating our simple meal. There are few vendors at this site, due to the low traffic volume, so be sure to bring enough food and drinks. There is not too much you need to know about the site before visiting, so, have a good time and take lots of pictures. Take bus No. 4 at Datong Railway Station and get off at Xin Kai Li. Then transfer to bus No. 3-1 to Yungang Grottoes. 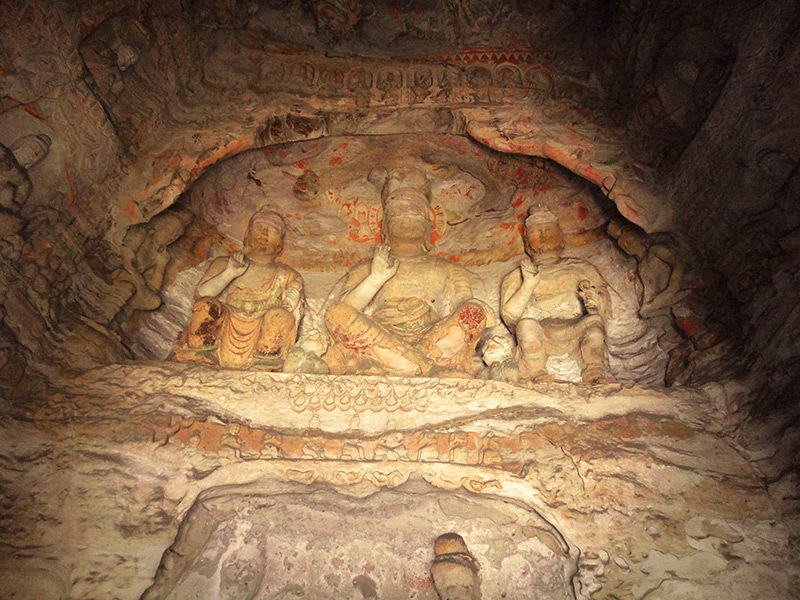 I really enjoyed the Yungang Grottoes because of the history of the site. I find it fascinating that monks would spend years carving statures of Buddha with no purpose other than religious dedication. Should you go? I say “yes, absolutely!” There are many sites in China and I have been to many of them, some hold up to there hype and others not so much. This was one site that nobody really talks about, but I feel is undervalued. If you have extra time or live in China, it is really worth the trip. You can see by the pictures in this post that it is an interesting site. If you like this type of culture and history it is worth seeing. What places have you been to that you feel are undervalued? Leave a comment and let us know! We love the off beat sites.